Rock Valley Publishing LLC. – Can the song ‘Baby Shark’ help save lives? Members of Beck’s CPR class practice doing compressions on CPR mannequins. Every five years, the American Heart Association reviews all the latest research and updates the process for cardio-pulmonary resuscitation (CPR) procedures. They also do minor improvements during the months between those reviews. 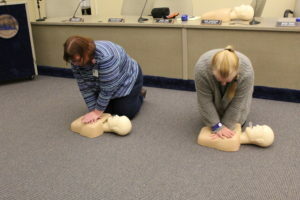 Therefore, anyone who holds a CPR card needs to review the latest in life-saving procedures. The Belvidere Fire Dept. is a ready source of the latest in life-saving information. Firefighter/Paramedic Mark Beck first learned about CPR in his Boy Scout days and has been teaching CPR for 12 years. Your first move in an emergency, of course, is to call 911. Then start moving. CPR used to be an A-B-C procedure, open the Airway, check for Breathing, start compressions for Circulation. Research has determined that it is most imperative to get the Circulation going first, so the procedure is now C-A-B. Before they went unconscious/unresponsive, their latest breath would have infused fresh oxygen into their blood. They have, roughly, two minutes of oxygenated blood in their system. Get it moving. They have about four minutes to get more oxygen to their brain before brain damage occurs. Your CPR efforts give the paramedics more time to save the victim. 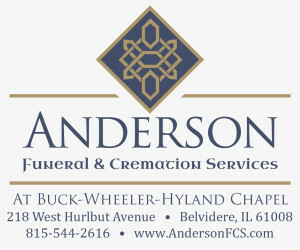 For complete article, pick up the March 21 Belvidere Republican.